My goal is to make 3+ a week! I just got the NEW Winnie & Walter sweet Evelyn T designs stamps in my hot little hands! 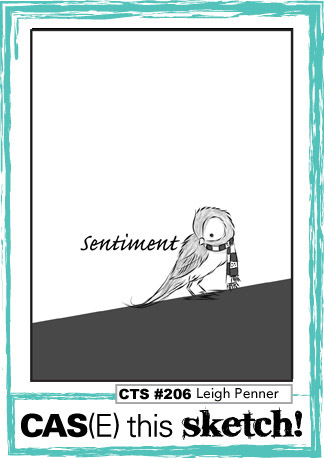 Once I saw the birdie on the CAS(E) this sketch card challenge blog, I said, wow, I think it is time!! They are so sweet that I had to ink them right away! colors from the Color Throwdown! Every time I make a card..
. I am making 3!! Super cute take on the sketch, Kimberly! Adorable! Love the embossed panel and the softly colored sky. Such a sweet holiday design! Thanks for joining us for this week's Color Throwdown! 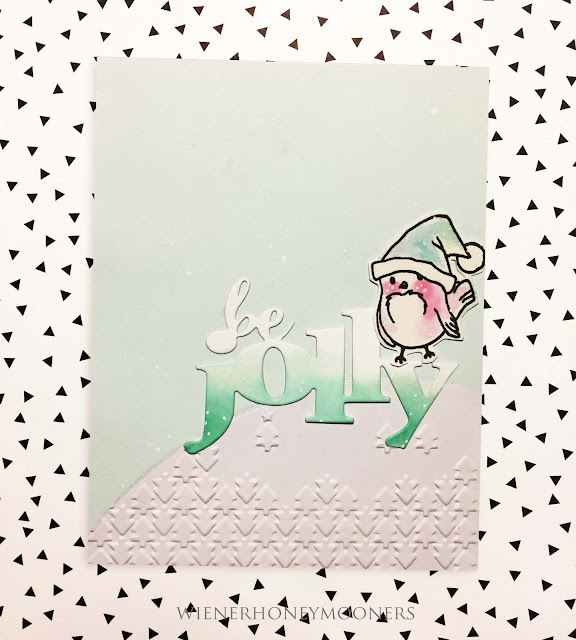 Super adorable card, Kimberly, love the design and unique colors! So sweet...love your jolly bird! Just adorable! Love that sentiment! Thanks so much for sharing with us at the Color Throwdown this week! 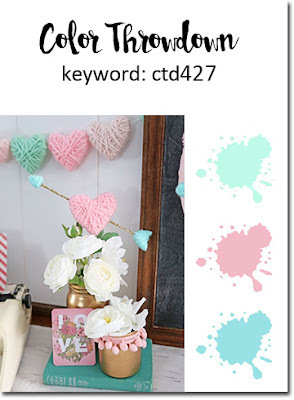 This is darling, what sweet colors! Hey Kimberly! 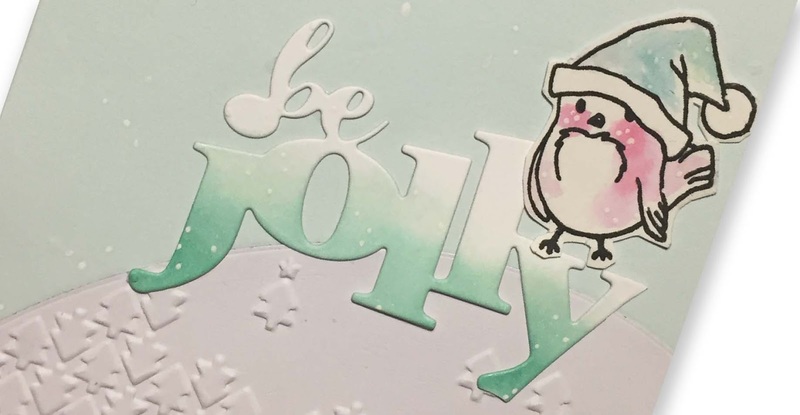 So excited you got the Happy Owlidays set from w&w ...Evelin did such a great job on those darling birdies. LOVE your free coloring of the birds, especially leaving the breast white. They look so artsy! 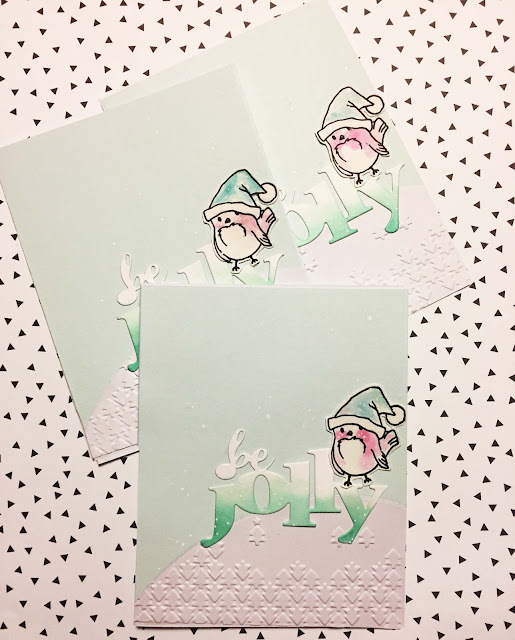 And pink and mint are fabulous for Christmas cards. I've been making multiples of cards too, especially if they come together quickly, while all my supplies are out. It's really not that bad. Glad to hear you're doing the same! You are the main person I missed seeing at CHA this year ... it goes by so quickly, and then everyone is gone. Hopefully next year! Super cute take on the sketch, Kimberly! Love this x 3!